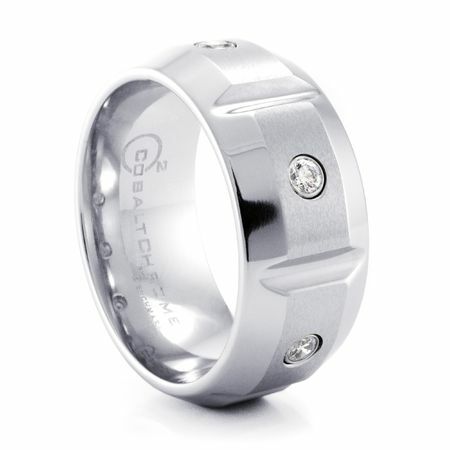 The EKTON Cobalt Chrome ring by Benchmark measures a bold 10mm wide. This sectionally designed ring features 3 round bezel set diamonds and a satin center which contrasts handsomely against the high polished beveled edges. You'll never tire of looking at this interesting ring. 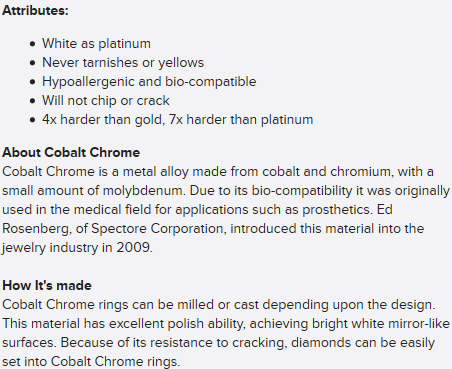 Cobalt Chrome is scratch resistant, won't tarnish, chip or break. You will also love Benchmark's trademark comfort fit design.